Prior to 1880: Burials took place in the cemetery. One stone marks the grave of John Howell, who died in 1877. 1880: One hundred and ten acres of land was granted to John Brown by the Province of Ontario with the exception of four acres which is “part of Lot 15 in the Twelfth concession in the Township of Minden …...… for the erection of a Church for the Presbyterians of the Locality”. The grant was made to the three trustees of the Minden Stanhope Presbyterian Church: James Johnston, William Chambers and William Blair. 1880s: A log church may have been built. No record of this structure has been found other than a reference made in early financial records of $8.00 being received from Wm. Blair for “Windows & Floor of Old Church”. 1890: Present church building constructed between September and December. John Johnston was hired to oversee construction at $1.00 per day and members of the congregation donated their labour. Most of the materials for the church were purchased in Fenelon Falls and shipped by train to Haliburton. It was then brought to the site by horse and wagon. 1894: A drive shed, where people could shelter their horses during church services was built. It was later torn down in the 1930s. 1900: Minutes show discussion of organ purchase that was likely completed early in 1901. The original organ may have been replaced with an organ owned and donated by Mrs. Cryderman. 1901: Clearing and laying out of burying ground for 12 Mile Lake View Cemetery Plot was 16 x16 (8 graves) at cost of $1.50 Caretaker paid $7.00 for the year. 1921: The local Presbyterian and Methodist churches (Zion in Carnarvon built in 1891) join together to become part of the United Church of Canada (church unions at the national level did not occur officially until 1925) in the Minden Charge. Regular summer services continued to be held at Twelve Mile Lake for nearly 50 years. 1990: Twelve Mile Lake Church celebrated its 100th Anniversary with a refurbishing of the church and a special service of celebration and the dedication of a plaque on the large boulder in front of the church. Mr. Gordon Angus, of Horseshoe Lake, directed the efforts of many members of Zion United in the refurbishing of the church which involved interior and exterior repainting, stripping down the interior doors and window trim to the original natural wood finish and repairs to the pump organ. 1990 – 2007: Although Twelve Mile Lake Church no longer had regular congregational events occasional summer services, small weddings and funerals and a summer Bible camp continued. The trustees of Zion United and members of the Chambers Family worked to maintain the church building. 2007: Zion United Church began looking at selling the Twelve Mile Lake Church property. 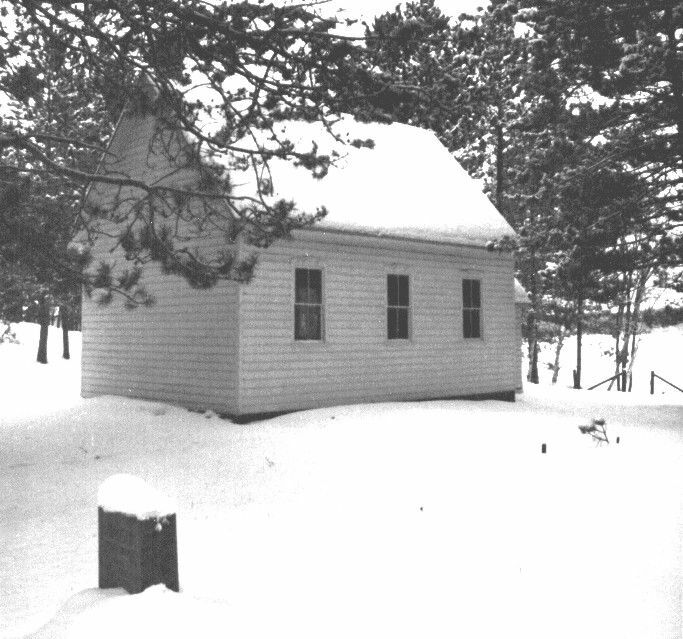 The Friends of Twelve Mile Lake Church was established to help find a way to keep the church building at its original location within Twelve Mile Lake Cemetery. 2008: Friends worked with the Township to establish their role in caring for and preserving the church. 2009 – Present: The Township of Minden Hills completed the purchase of Twelve Mile Lake Church building and property from Zion United. Friends of Twelve Mile Lake Church partner with The Township to provide for the care and maintenance of the church.